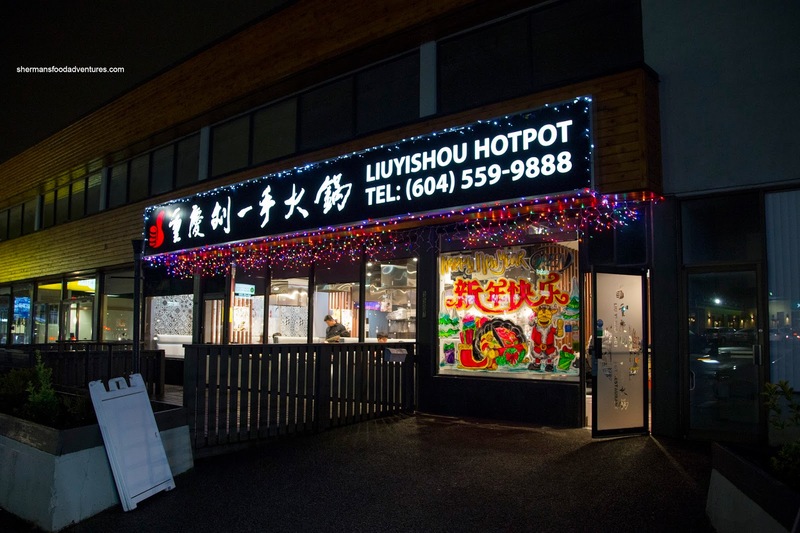 For the last 5 years or so, the hot pot scene in Vancouver has both expanded and changed significantly. At one point, we found the usual Cantonese-style with mild-tasting broth and the typical meats. 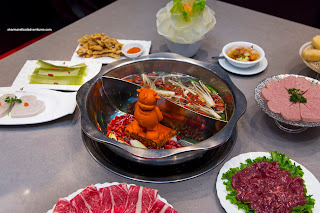 However, we have seen an increasing number Szechuan-style hot pot restaurants. Prices have gone up while the soup bases have become spicier. We've also seen more deluxe ingredients such as wagyu beef and various forms of live seafood become the norm. 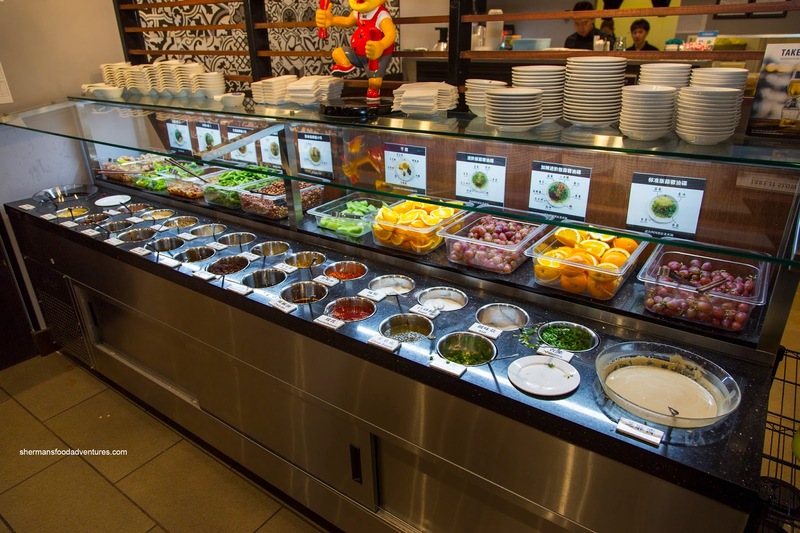 Moreover, when once upon a time where the only condiments available were soy sauce and satay sauce, we now have several options found at self-serve sauce bars. 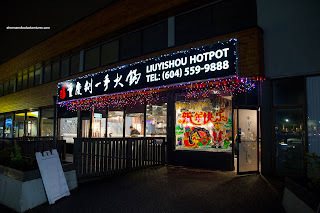 An example of such an establishment is Liushiyou Hot Pot on Kingsway in Burnaby. The first thing I noticed upon walking into Liuyishou was the enormous and impressive Sauce Bar. In addition to the usual soy, sesame sauce, satay and hot sauces, there were some interesting ones such as preserved bean curd, mushroom paste and spiced vinegar. Atop of the bar was a selection of small appies/snacks and also fruit for dessert. 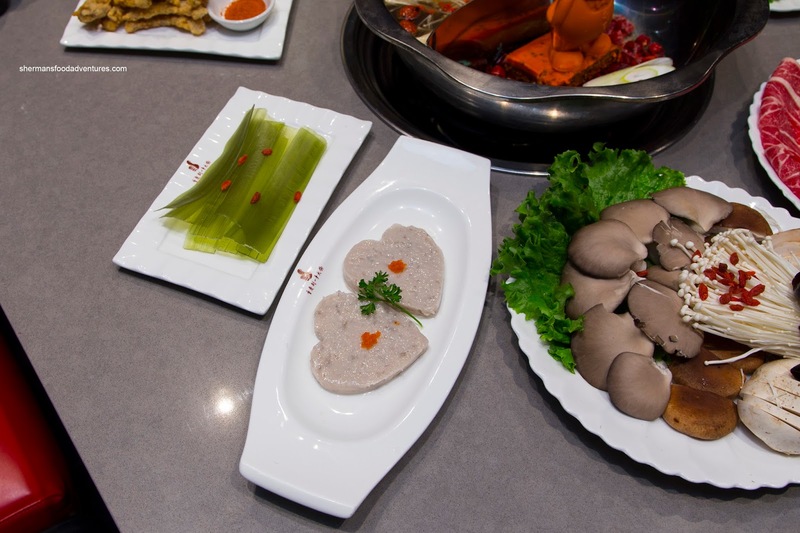 For comparison, most other hot pot joints only offer up a few options that included soy, vinegar, hot sauce and satay sauce. Starting February 26th to March 2nd, Liuyishou celebrates Hot Pot Week by offering up a Chinese New Year's special menu presented by Vancouver Gourmet Tours. This deal includes specialty hotpot soup base, sauce bar with 20+ options, unlimited appetizer dishes and fresh fruit. 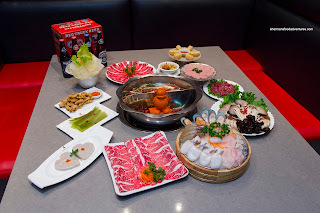 A selection of 20+ choices of hotpot ingredients including: premium meats & seafood, handmade meatballs, chongqing specialty food, vegetable platter, mixed mushroom platter, handmade noodles or golden mantou buns, Chongqing classic dessert and Red Truck Craft Beer (Greater Vancouver locations only) or non-alcoholic specialty beverage. All this can be had for $68 for 2 people and $120 for 4 (plus Eventbrite fees). The spicy butter cow and Wagyu beef (rectangle plate) are an extra charge. I was invited along with others to sample this special meal and it didn't disappoint. First off, the spicy half of the hot pot was nicely balanced with an aromatic heat. It wasn't "burn-your-tongue" hot but I'm personally not a fan of that anyways. As for the non-spicy broth, it was flavourful without being salty. One of the best items was the Hand-Made Shrimp Paste. Buttery, bouncy and sweet, this was head and shoulders above the frozen type and one of the best fresh meatballs I've had in awhile. Another highlight was the House Special Green Bean Starch Noodles. They didn't look like much on the plate, but once cooked through (took awhile), they were slippery and chewy with an appealing mouth-feel. 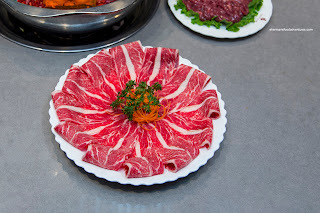 Not to be outdone, the Marbled Beef was tender, buttery and extra-tasty when cooked in the spicy broth. With the aromatic fat coating each slice of beef, it was indeed a sinful treat. All-in-all, a pretty good introduction to Liuyishou and with the special menu, you could get to try it for a reasonable price as well.